Listed below are our 5 level of sponsorship levels with a brief description that we offer. To become a sponsor, just download and fill out our sponsor form. You can get Adobe Reader free from Adobe's website..
Click here to download our form. 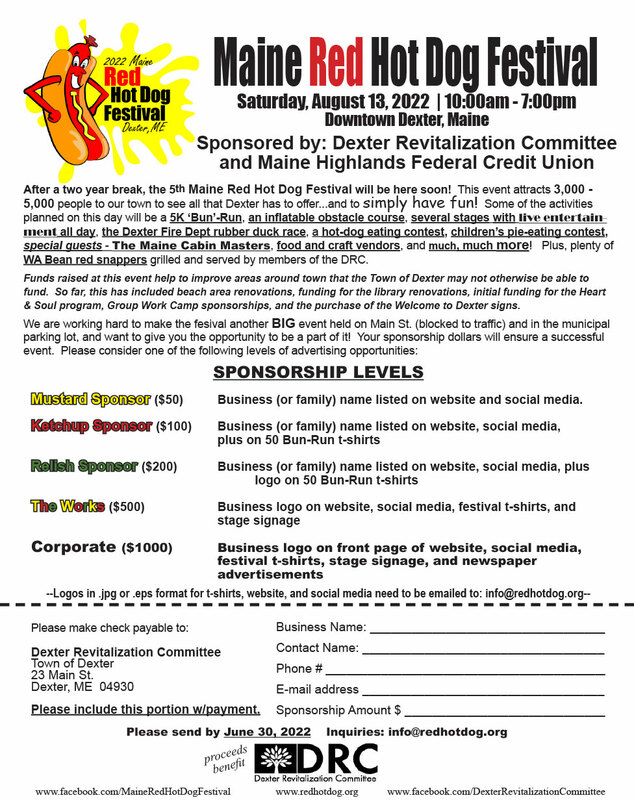 Copyright © 2019 Maine Red Hot Dog Festival.